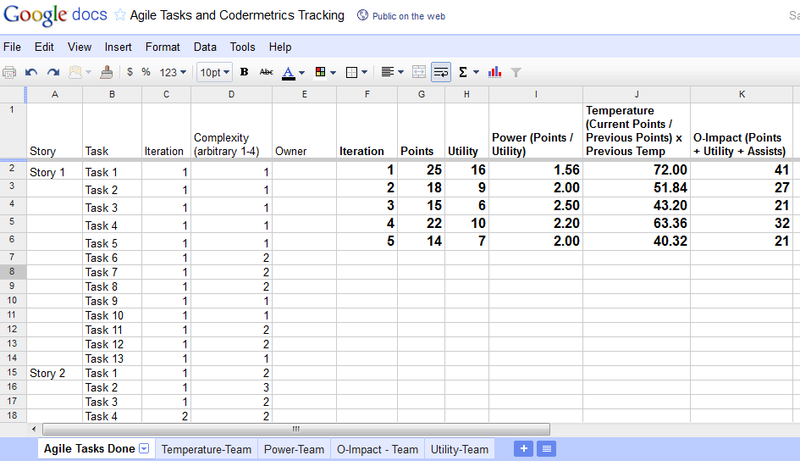 David Bethke has contributed an alternate Google Docs spreadsheet template for tracking completed agile tasks and calculating team codermetrics. The format is very straightforward and easy to understand. Stories and tasks are listed out, then a row is added for each Iteration for the metrics. It includes calculation for Points, Utility, Power, Temperature, and O-Impact, and could easily be expanded to calculate other metrics. 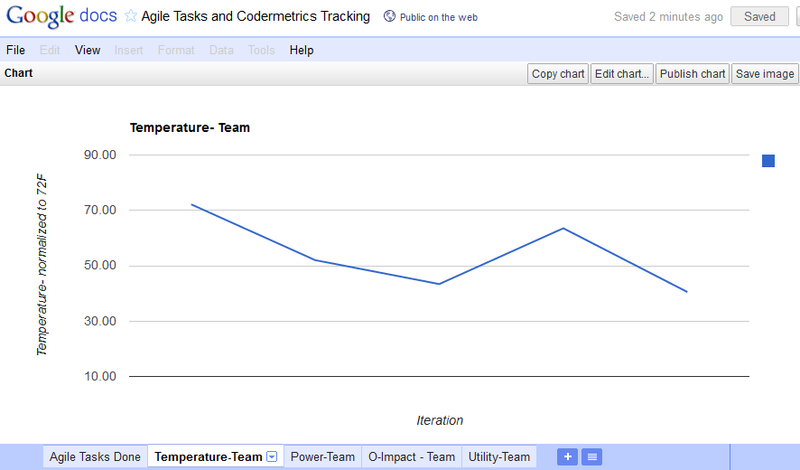 Separate pages in the spreadsheet graph the team metrics for each iteration. You can access the template here, and it has been posted in Shared Resources.